Total Built-Up Area - 2,830 Sq.ft. This two floor lavish yet comfortable house floor plan is very strategically designed to work for most modern urban families. The layout can boast of having a large living room along with dining space next to it. The kitchen is in close proximity to the dining space which also included an attached pantry and store. 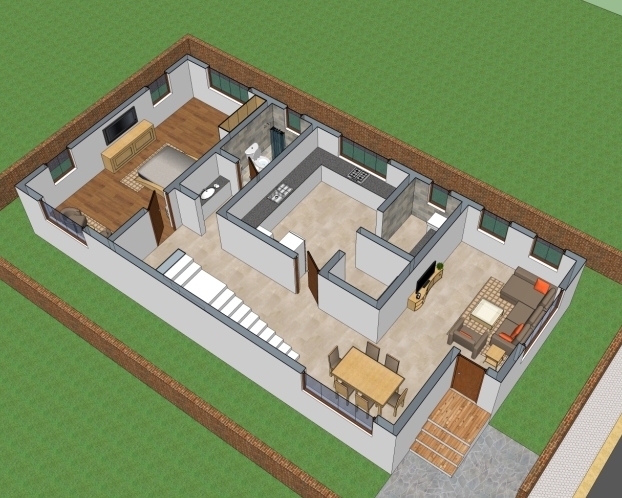 This kitchen layout can be converted to an open one as per the requirement of any family. The long passage also leads one to the common toilet along with the wash basin area. At the end of the house the master bedroom has been placed with proper big window opening and cross ventilation windows. 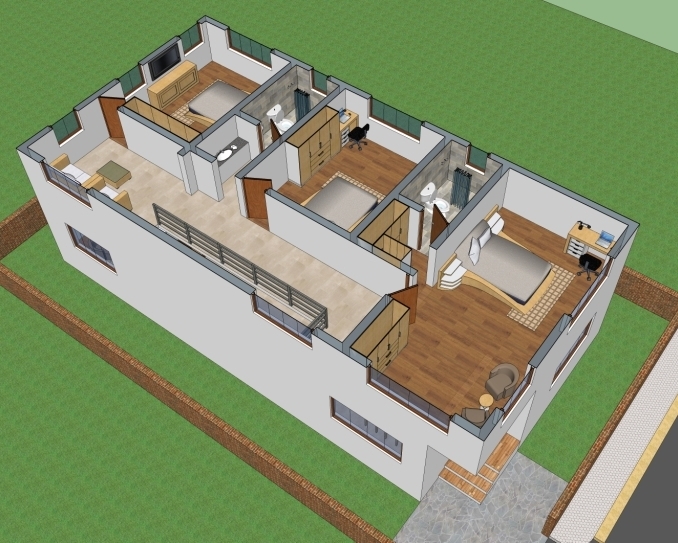 The first floor plan includes another 3 bedrooms for the family along with one common and one attached toilet to the bedrooms. The passage is sufficiently wide for movement across the house and the end of the passage space can also be utilised for family seating or as lounge space. The best feature of this floor plan is about its compact rectangular clear layout which makes it a good design for a modern looking house plan.